Not all dent removal services were created equal - and our extensive experience in paintless repairs has shown us just how much customers love the many benefits that this approach can offer. 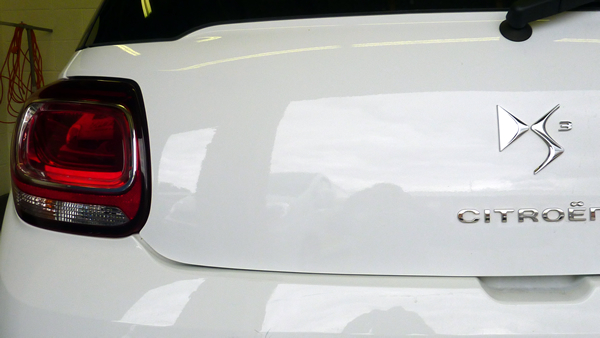 Unlike other methods, we repair the dent from within, meaning there's no need to fill and paint over the damage, which can leave an obvious repair site that never quite matches the original bodywork. Using specially developed bars and rods, we literally massage the dent out from behind, so the paintwork is untouched and left completely intact. Our mobile dent removal service also saves you the hassle of leaving your car at a repair premises – we drive to your home or place of work and carry out the process there and then, leaving your vehicle as good as new. Why choose us for your mobile dent removal? Wide area coverage - our mobile dent repair services cover Sheffield, Wakefield, Barnsley, Huddersfield and more! Responsive service - we aim to come along and repair your dent within a couple of days, or the same day if we can! Cost-effective - we save you money: we're cheaper than a bodyshop and usually cost less than insurance excess. Trust Auto Dent to fix it! 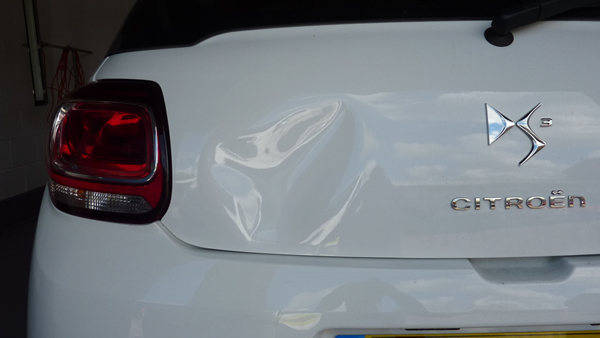 Dent damage can be frustrating - it looks unsightly and can reduce the value of your car. But you don't have to live with it, and you'll be surprised at how competitive our mobile service is! We can remove most dents within 40 - 60 minutes, but of course, this will depend on the size, access to the dent, whether it's shallow or sharp and if it's on a bodywork crease or swage line. Whatever or wherever the dent is, we strive to provide an exceptional service and leave your bodywork looking exactly the same as before the damage. Why not take a look at our paintless dent removal examples, read our FAQs for more information - or simply complete the quotation form below! Send us your vehicle details and submit 3 images of the damage at different angles, to provide us a good idea of the dent that needs repairing. Using the details and images you provided, we'll send you back an accurate quote quickly by email, along with full details of the service to expect. Want to go ahead? Just drop us a line! If you're happy with the quote, give us a call or email back to let us know when and where you want the paintless dent removal service to take place. We'll come along and repair the dent in your vehicle quickly and at your convenience, while ensuring the best value and quality of service possible.